Italian giant ENI has reported that cumulative oil production of AGIBA, the operating joint venture company between its subsidiary IEOC Production BV and Egyptian General Petroleum Corporation (EGPC), reached 500Million barrels in mid March 2018. 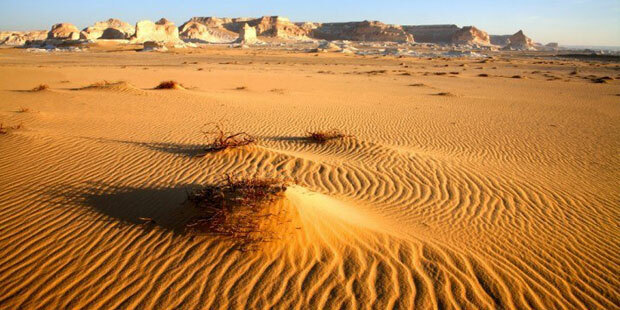 AGIBA has been active since 1981 with operations mainly focused in Egypt’s Western Desert Area. With recent development of a number of new discoveries such as Rosa North, Emry Deep and Melehia West Deep within existing conventional asset, AGIBA, leveraging on its operated infrastructures “has been able to produce and valorize oil resources amounting to around 110 MMbbls in the last five years, thus reaching the target of 500 MMbbls as oil cumulative production”, the company says in a release on its website. “This achievement confirms the success of ENI’s strategy to focus on exploration activities which offer high value and quick development within a mature environment by optimising traditional drilling/infilling campaign and the synergies with existing upstream infrastructure and national hydrocarbons export network”, ENI explains. The Italian payer, on a n aggressive campaign across Africa, says it plans new exploration investments in Egypt in the next four years “to valorize the deep oil potential and the gas resources of the Melehia Concession”. ENI has equity production of more than 250.000 barrels of oil equivalent per day in North Africa’s largest economy. Nestoil, the oil service firm owned by Nigerian businessman Ernest Azudialu, is reportedly angling to sell part of its equity in the Neconde Special Purpose Vehicle SPV. As such, it will be farming down in its partnership in the Oil Mining Lease (OML) 42, located in the Western Niger Delta. Nestoil holds 80% of Neconde. What is particularly curious about the story is that Nestoil was the prime mover of the creation of the Neconde SPV, which took over Shell/TOTAL/ENI’s 45% stake in the acreage in 2012. 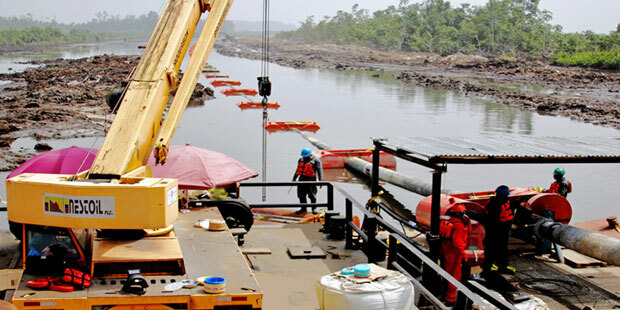 The majority 55% is held by NNPC, the state hydrocarbon company. Creating value from the asset takeover has been an epic struggle. While Neconde paid $585Million to buy the 45%, it has found it difficult to reach and stay on an optimum output, at an optimum price, to pay back debts and fund a sorely needed expansion. First the NPDC, the ineffectual E&P subsidiary of the state hydrocarbon company NNPC was imposed to operate the asset and that meant a low production (less than 20,000BOPD) for over three years. It was inside that time frame that the crude oil price collapsed. And just when the prices were about to climb back up, Niger Delta militants bombed the crude evacuation facility, forcing the terminal to shut in for 16 months between February 2016 to June 2017. Out of the $585Million paid for the stake, the consortium partners (Nestoil, Yinka Folawiyo and KOV) paid $435MM as equity and collectively raised $150Million as debt. What’s not clear is how much of the $435Million equity payment was raised as debt by the members of the SPV. The new government in Libya is not in a rush to have a bid round of hydrocarbon acreages in the next year and half. This much can be gleaned from statements made at the Libya Oil and Gas Summit which ran in Tripoli from September 24 and 26, 2012. An impending review of the blocks in terms of potential risks, the type of contracts, as well as the pre-qualification of bidders will keep the government’s hands full. Libya had total proven oil reserves of 47.1 billion barrels as of December 2011, according to BP Statistical review of world energy. The country is the largest tank in Africa, and one of the ten largest globally. Some 80 percent of Libya’s proven oil reserves are located in the eastern Sirte basin, which accounts for most of the country’s oil output. Libyan oil is generally light (high API gravity) and sweet (low sulfur content). The transitional government which took power after the Civil war had declared intention to review all the extant contracts. The new, elected government is saying the same thing. The review, they have both sought to make clear, is not with the aim of taking away acreages from any company. It’s expected to make the new rulers themselves get a grip on the environment in which they are playing. Under Ghadaffi, there was so much opacity in contracts. The pre-war, 1.65MMBOPD Libyan production was achieved by nine producing companies, joint ventures and consortia including the state owned Arabian Gulf Oil Company (AGOCO), which is the country’s largest producer, with 350,000BOPD, Sirte Oil Company (another state hydrocarbon company), Waha Oil Company (comprising the major state company NOC and ConocoPhillips, Marathon and Hess), Akakus Oil operations(NOC, Repsol and others), Melitah Oil&Gas(ENI and NOC), Mabruk(TOTAL and NOC), Wintershall, Haroungue (Suncor and NOC), Zueitina consortium(NOC, Occidental and OMV). The new government comes across as friendlier to Western companies, and may adopt a new contractual model that is less onerous than the current provisions. But a lot is still uncertain in the new Libya.